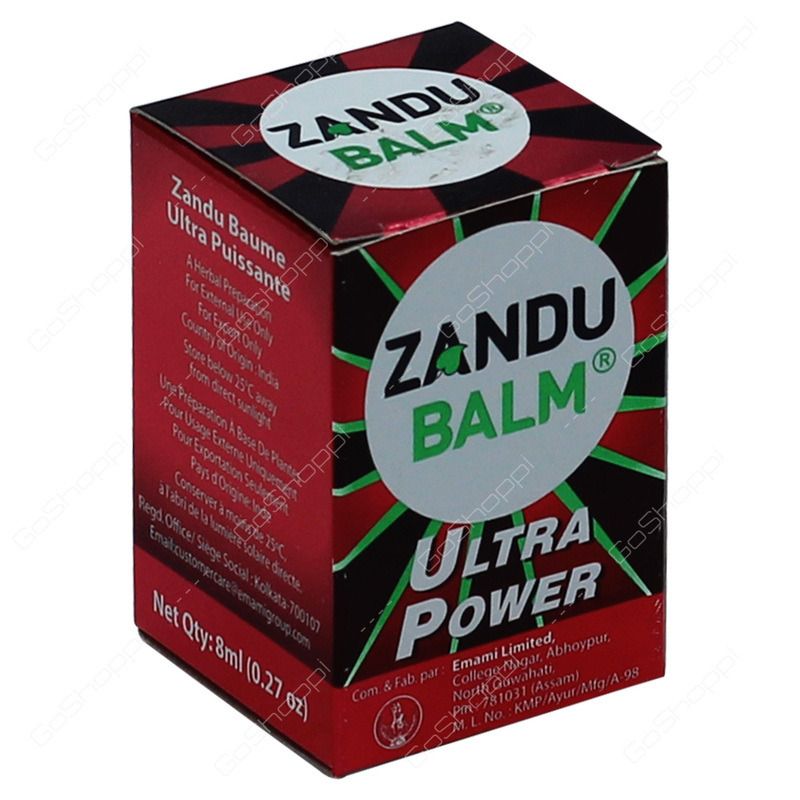 Zandu Balm Ultra Power is a safe & effective remedy for severe pain & aches. It provides fast & long lasting relief from Strong Headache, Backache, Knee Pain, Joint Pain, Neck & Shoulder Pain, Sprain, Muscle Pain, Inflammation and Cold. This formulation is fortified with potent Ayurvedic ingredients and is also dermatologically tested and proven safe on the skin.